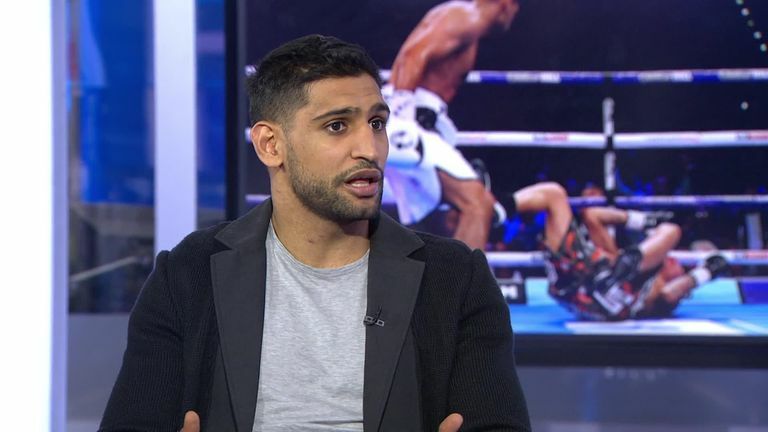 Amir Khan believes Kell Brook will "wait around" even longer for a British battle as he firstly wants to pursue a fight against "global superstar" Manny Pacquiao. 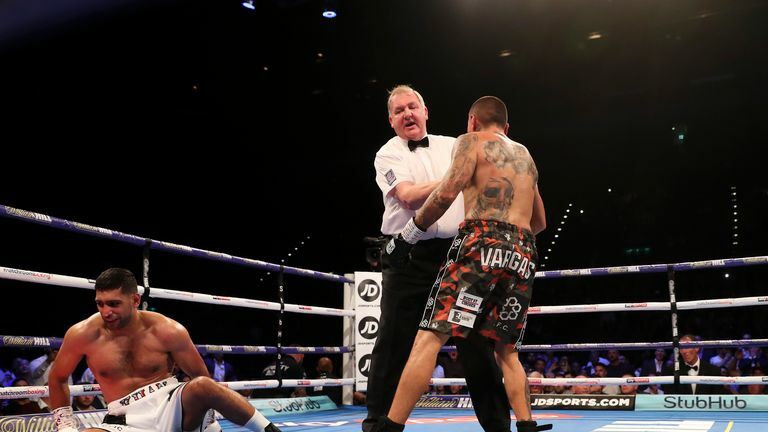 The 31-year-old called for a fight with the Filipino multi-world champion after climbing off the canvas to defeat Samuel Vargas on points in Birmingham on Saturday. Long-term rival Brook watched from ringside, with promoter Eddie Hearn eager to finally secure a big domestic clash, but Khan has reiterated his desire to test his skills against Pacquiao. "One day when I call it a day and I look back at my record, I'm going to think wow, I beat Manny Pacquiao, who is a global superstar," said Khan, who expects to hold a meeting with Hearn this week. "We don't know what Manny Pacquiao has got left in his career, how much time he's got left in him, but if I've got that opportunity to take that fight, and have it next, I'm going to grab it with both hands. Now with Kell Brook, I know he wants the fight as much as I want the fight, so he's going to wait around for that fight, and he's going to be there for that fight. "Me and Kell are only a year difference in age, and he's still an active fighter, whereas Manny Pacquiao is 39, and [there are] maybe talks of him retiring. "Now with Kell Brook, I know he wants the fight as much as I want the fight, so he's going to wait around for that fight, and he's going to be there for that fight. "One of the only things that kind of makes me want to fight Kell Brook as well, is to fight him in a stadium, in front of a big crowd, especially a UK crowd. "Both of us being from England, now being under the same promotional team which is Matchroom, Eddie Hearn being our promoter, I think it will be massive. "I think that would be a mega fight, but the only fight that kind of surpasses that is the Manny Pacquiao fight. Even if we got Manny Pacquiao to come to the UK, it's another stadium fight in my opinion." But Khan has suggested he will not put his career on hold for a decision by Pacquiao, having been frustrated in his attempts to land a fight with Floyd Mayweather, and intends to stay active for his final few years in the sport. "I'm getting back into a groove again where I'm fighting more often," said Khan. "I took a lot of time out, waiting around for the likes of Floyd Mayweather, and the fight never happened. "But instead of that now, I'm going to be much smarter, I'm going to keep myself busy, I'm going to keep on fighting. "I've only got maybe one or two years left in me. I want to maximise it, those one or two years." Watch Joshua vs Povetkin, at Wembley Stadium, on September 22, live on Sky Sports Box Office, from 6pm. Book via your Sky remote or book it online here.